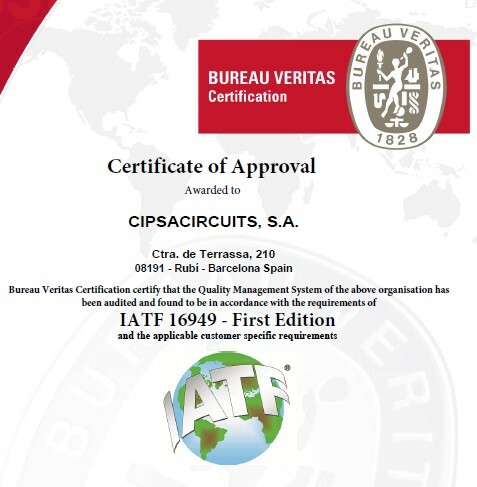 Cipsacircuits, S.A. is already certified IATF 16949:2016!!! We inform you that we have already received the new IATF 16949 certification. Throughout 2018, we put a lot of effort, both human and economic, to adapt our processes to the requirements of IATF and we finally got this new certification.